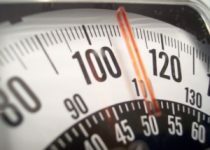 Weight gain can be a pain and issue for people with high metabolism. No matter what they eat it gets burned out by their high metabolism! If you’re suffering with the same issue, don’t worry, here we will explain you how to gain weight with high metabolism. Before starting to gain weight when you have high metabolism, carefully measure your weight, height and waist. Check your BMI (body mass index) and make sure that you’re in underweight category for your height. Gaining weight by eating junk food which includes the fast food like kfc, mcdonalds or the packaged products that are toxin to our body like nestle milk and other similar products is harmful. Also avoid coke, pepsi and other similar toxins from entering your body. Remember that the aim here is to remain fit and get stronger, not to have a toxic body that is fat. Therefore eat healthy and natural. By the way natural includes natural foods like natural egg and chicken for example and not the white or broiler / artificial eggs or chicken, no matter what color is given to them! Don’t skip the exercise, sports or gym part, as it’s the main thing that’s going to give you a physique and healthy body that not only you but others would admire! Good luck in gaining weight with fast metabolism, if you have any feedback please let me know through comments!